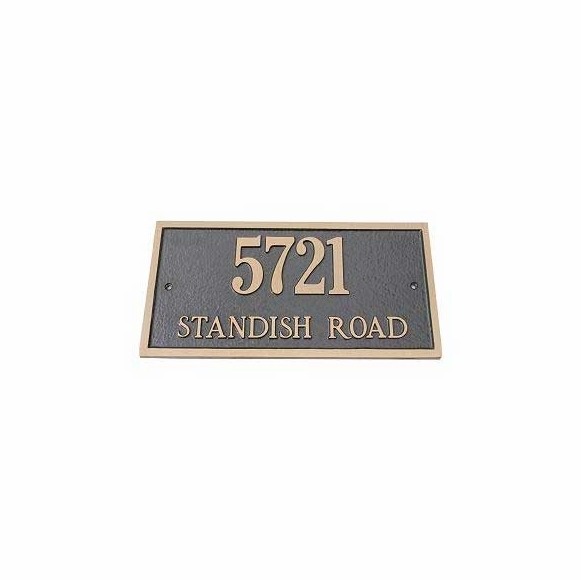 Address Marker - - rectangle two-line address marker. Solid cast brass. Surface or wall mount. 14"W x 7"H. Made in USA. A one-line rectangle sign can hold up to four (4) large 5" numbers. Also available as a two-line sign with up to five (5) 3" characters on Line 1 and up to fourteen (14) 1" characters on Line 2. Dimensions: 14" x 7"; weighs 7.25 pounds.